Take one biological weapon, mix it with a sleeper cell of highly trained government agents and add a sprinkle of bullet sponge enemies and you have the recipe for The Division. The game was not well received at launch but over time the folks at Massive Entertainment turned the title around and it became a fun romp through the death filled streets of New York. Later this year we will be getting the sequel in The Division 2 and Ubisoft released the game’s first story trailer earlier in the week. The snowy streets of Manhattan have been swapped out for a sunny, summery Washington DC but the Secure Homeland Division still seems to be the target of anybody with a gun. While the trailer showcases a number of new factions, it’s the last group that interests us. Those who played the first game will remember the Last Man Battalion led by Charles Bliss who served as the game’s big bad. This new group might serve as that faction but if we’re honest, that doesn’t really matter. The story in The Division was interesting but once the campaign had been finished the focus became grinding for loot and becoming a better agent. For us at least, getting to a higher Gear Score was more important than saving New York and we don’t expect that attitude to change. 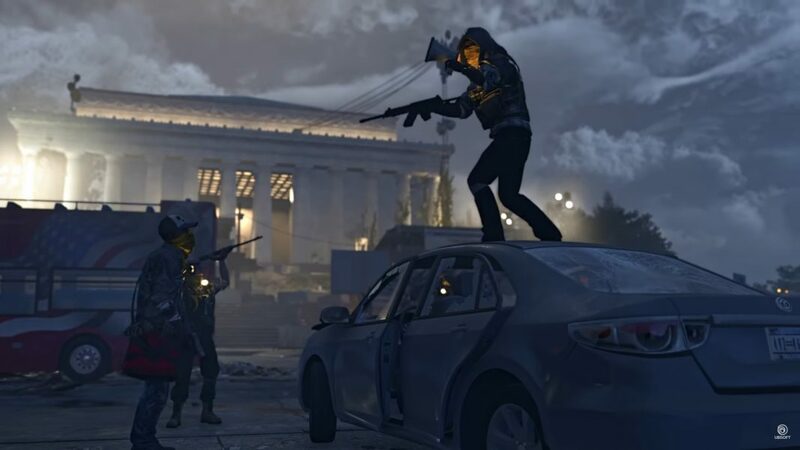 The Division 2 will have to nail the end-game in our opinion given Massive Entertainment and Ubisoft want to turn this game into an ongoing project. With that said, we’re confident the team will because The Division became a really fun game. Ubisoft also announced the release of a private beta test from 7th to 10th February but to access it you will need to pre-order the game. The Division 2 will be released on 15th March for Xbox One, PlayStation 4 and PC.